Rumor; Social aspects; United States; History. Why did Elizabethan adventurers believe that the interior of America hid vast caches of gold? Who started the rumor that British officers purchased revolutionary white womenÃ¢ÂÂs scalps, packed them by the bale, and shipped them to their superiors? And why are people today still convinced that white settlersÃ¢ÂÂhardly immune as a group to the diseaseÃ¢ÂÂroutinely distributed smallpox-tainted blankets to the natives? RumorÃ¢ÂÂspread by colonists and Native Americans alikeÃ¢ÂÂran rampant in early America. 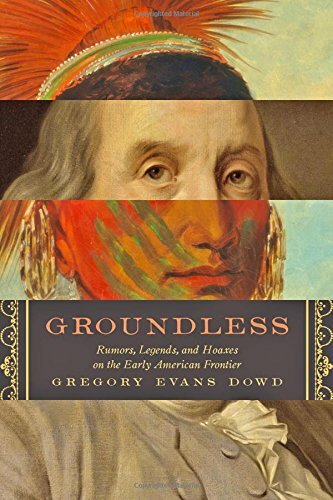 In Groundless, historian Gregory Evans Dowd explores why half-truths, deliberate lies, and outrageous legends emerged in the first place, how they grew, and why they were given such credence throughout the New World. Arguing that rumors are part of the objective reality left to us by the pastÃ¢ÂÂa kind of fragmentary archival recordÃ¢ÂÂhe examines how uncertain news became powerful enough to cascade through the centuries. Drawing on specific case studies and tracing recurring rumors over many generations, Dowd explains the seductive power of unreliable stories in the eastern North American frontiers from the sixteenth to the mid-nineteenth centuries. The rumors studied hereÃ¢ÂÂsome alluring, some frighteningÃ¢ÂÂcommanded attention and demanded action. They were all, by definition, groundless, but they were not all false, and they influenced the classic issues of historical inquiry: the formation of alliances, the making of revolutions, the expropriation of labor and resources, and the origins of war. About: Why did Elizabethan adventurers believe that the interior of America hid vast caches of gold?